From the country's largest software developer making another big bet on hardware to the leading premium coffeehouse chain pouring out its latest quarterly results, here are some of the things that will help shape the week that lies ahead on Wall Street. Microsoft (MSFT) has seen its once dominant market position in computing challenged in recent years. Folks are shifting to smartphones and tablets, categories in which Microsoft's Windows is a distant third to iOS and Android. It hopes to change things with the arrival Monday of Surface Pro 4. The high-end tablet with its slick keyboard aims to eliminate the need for owning both a laptop and an iPad. 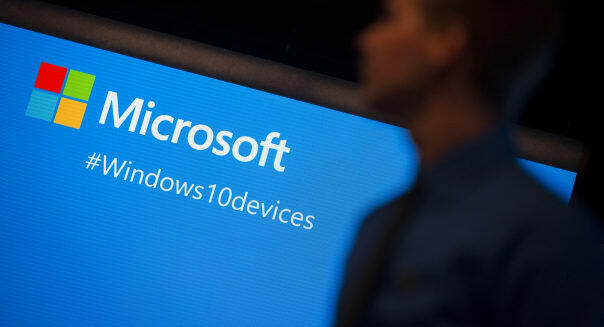 Access to run Windows 10 means that users can run Office, desktop apps and other Windows programs. Some of Microsoft's partners may not like seeing the software giant grow its presence in hardware, but it's the right move. Initial reviews are positive, but save up: Surface Pro 4 starts at $899. We're in the heart of earnings season and that finds the world's most valuable consumer tech company reporting after Tuesday's market close. Apple (AAPL) has a lot to prove. Will it offer up more concrete sales metrics for the Apple Watch line it rolled out earlier this year? How much longer can the iPhone carry the company? Apple remains a market darling, but investors will want to make sure that it's succeeding without sacrificing margins. The top site for video clips launches a premium platform Wednesday. YouTube Red is a new membership that lets subscribers enjoy the site without ads. It also allows subscribers to download clips for offline viewing and have access to YouTube Music. At $9.99 a month it will be a hard sell for folks who are used to enjoying Alphabet's (GOOG, GOOGL) YouTube for free, but it could succeed with folks wanting a premium experience with extra perks. We can get back on track with earnings season Thursday with Starbucks (SBUX) brewing fresh financials. Shares of the top dog in premium coffee hit new all-time highs last week ahead of Thursday's report. Things have gone well for Starbucks. It seems as if there's always expansion space for the chain to take up, and store-level sales continue to be positive. Starbucks has turned a simple beverage into a luxury product. You don't see that very often. Choice Hotels (CHH) wraps up a busy week of earnings reports -- and the last trading day of October -- with its own updated financials. This is the hotelier behind Comfort Inn, EconoLodge, Rodeway Inn and several other value-priced lodging establishments. It's a good time to be a hotel operator. The economy's holding up, and that encourages business travel. Gas prices are cheap, and that naturally makes it easier to justify a road trip. Wall Street's ready to check in. Analysts see revenue and earnings per share climbing in the high single digits. Motley Fool contributor Rick Munarriz has no position in any stocks mentioned. The Motley Fool owns shares of and recommends Alphabet (A and C shares), Apple, and Starbucks. The Motley Fool owns shares of Microsoft. Try any of our Foolish newsletter services free for 30 days, and click here to check out our free report for one great stock to buy for 2015 and beyond.